Manual lymphatic drainage treatment is not as well recognised as other types of massage in the UK, yet it provides numerous health benefits. During the 1930′s the innovative Danish physical therapist Dr. Emil Vodder created a unique set of movements which he successfully used to clear chronic catarrh and facial acne. After intensively studying what was then known as the lymphatic system he devised treatments for the whole body. 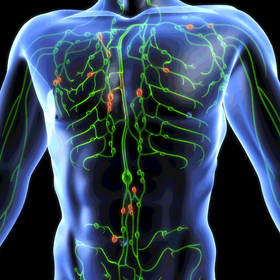 He concludes that his technique, which he termed Manual Lymph Drainage, could be applied to almost any condition, because of the important role the lymphatic system plays in our bodies. Since Dr Vodder’s pioneering work, modern research has supplied us with the answers of how his method so effectively influences both the lymphatic and nervous system. As a result, MLD has spread worldwide and has become a popular treatment in many European hospitals and Spas. · Promotion of scar tissue healing, torn ligaments and sprains. MLD is also deeply relaxing, lessens pain and may strengthen the immune system as part of “detox” treatment. MLD not only promotes healing of wounds and burns and improves the appearance of old scars, but also can be used to speed healing after cosmetic surgery and Vaser treatments. In the UK MLD is continuing to be more widely accepted as an important component in the treatment and maintenance of lymphoedema and assists in conditions arising from venous insufficiency. Lymphoedema may occur following damage to the lymphatic system due to cancer, radiotherapy, surgery, fibrosis, infection, injury or congenital abnormalities. It is a collection of protein-rich fluid, which presents itself as a swelling in the soft tissues below the skin, resulting in the malfunction of drainage by the lymphatic channels. There are emerging surgeries to repair damaged lymphatics, however, using MLD therapy the lymph fluid from a congested swollen area of the body can be directed to an area where the lymphatics are working.